Will the change be immediate? There is no way to tell precisely how and when the Reconciliation Spell will take effect as each spell works differently in its own time frame. But one thing is certain: this great love of yours - this person you love so deeply - could experience a profound change in their attitude toward you. The purpose of a Reconciliation Spell is to establish an emotional connection--an unbreakable bond--between the two of you. Without this connection, a barrier will continue to grow, continue to keep the two of you apart. But once this bond is forged, it could be possible to pull your love back to you! It will seem as if they are drawn back into your loving arms by a powerful magnet. If you are concerned about their emotional state of mind, don't be. If you are worried about the physical distance between you, this can be overcome. A Reconciliation Spell is specifically cast to bridge the gaps between you - whether they are due to misunderstandings, misinterpretations, anger, hostility, apathy or just plain hard-headedness. The Reconciliation Spell is cast by a Master Psychic and is extremely potent! Please be aware that this spell should not be cast unless your situation is urgent as the psychic forces unleashed by a Master Psychic are formidable. Once the spell is cast, the repairing will begin. Beautiful images of you are planted in the mind of the person you love, and you are visualized in a different, more favorable light. 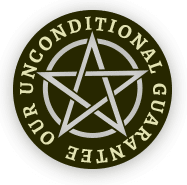 Remember, the California Astrology Association guarantees that if you are not one hundred per cent satisfied with the results, you can receive a full refund up to one full year after the spell is cast.